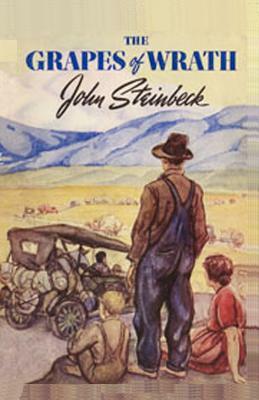 The Grapes of Wrath is the brilliantly written story depicting the life of Americans during the Dust Bowl of the 1930s when Oklahoma farmers were forced off the land they had farmed for generations and they moved to California for the better life they believed they would find picking peaches and grapes. The Grapes of Wrath was written in 1939 by John Steinbeck (1902-1968). In 1940 it was made into a movie staring Henry Fonda. The title comes from a line in the song -The Battle Hymn of the Republic-. The book is still controversial and efforts are still made to ban it from school libraries. The movie has not been remade, probably for the same reason.